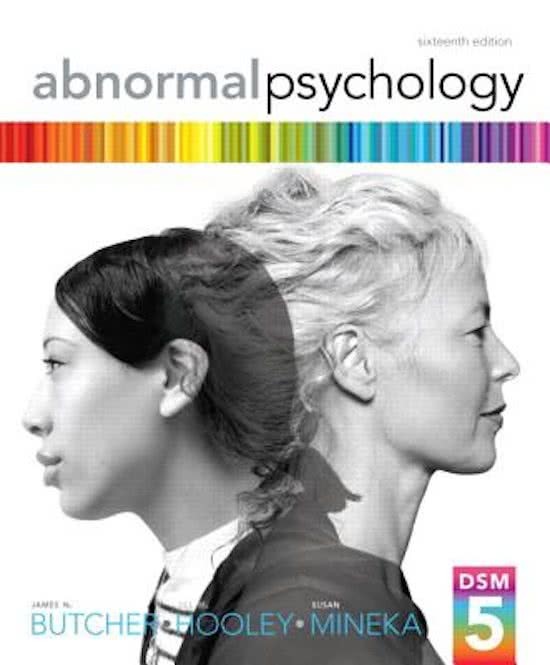 Erasmus Universiteit Rotterdam > Psychologie > 1.6 Normaal of Abnormaal? Course 1.6 Clinical Psychology / Normal or Abnormal I offer you a complete summary of the sixth course of psychology. I included a lot of colours and graphics to make studying nicer and easier - It\'s like reading a good textbook, but way shorter. You can be sure that I included all important information for this course as me & a lot of friends studied with these summaries last year. So good luck with your studies and I hope you enjoy my summaries! All DSM-5 criterias are included! !